Phonics is all about using sounds to read words. Let’s say that you learn that the letter c makes “kuh” sound. Next you learn that the letter a makes “ah” sound. And the letter t makes “tih” sound. When you read those sounds together… “k-ah-t” you have the word for “cat“. You just learned to read the word “cat” using phonics. It’s that simple! Research backs up phonics again and again as a critical factor in learning to read. And not just for some kids. Evidence shows significant benefits of phonics for children of all ages, abilities and socioeconomic backgrounds. “Visual Phonics” is a new Hooked on Phonics method for teaching Phonics with animated text. 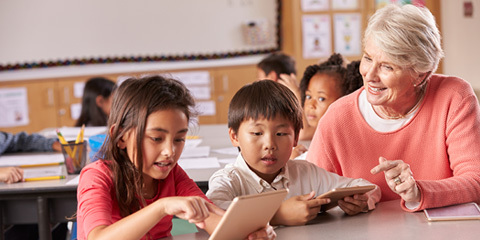 Difficult concepts such as letter and sound blending, substitutions and word endings can be easier to teach and understand when kids can see them in action. Difficult concepts such as letter and sound blending, substitutions, and word endings easier for a child to understand when kids can see them in action. For example, Visual Phonics introduces the three letters in cat with different colors to illustrate their phonemic individuality. As each letter is pronounced, it pulses slightly and changes color, then returns to its original color. The child sees a fading effect from left to right to reinforce the directionality, and a change of color to illustrate blending. 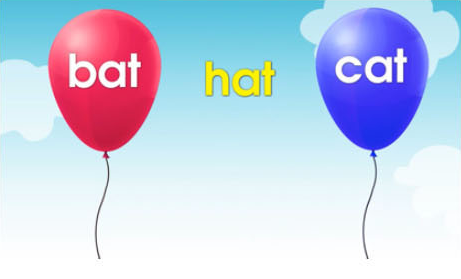 Visual Phonics shows various reading skills, such as isolating sounds and syllables, segmentation, rhyming, and substitution, to help children visualize relationships between letters and sounds, sounds and words, and words and syllables. Instead of only static text on a page, Visual Phonics borrows from the world of film and animation to make phonic lessons more fun. The ability to recognize individual words accounts for 80% of a first-grader’s reading comprehension. More research shows that kids with low reading ability usually struggle with word recognition than from reading comprehension. And great readers recognize words quickly and automatically. They’ve practiced decoding words and don’t only rely on context to guess. That’s why word recognition is such a foundation of accomplished readers. Hooked on Phonics teaches kids to recognize words by practicing decoding sounds and by reading stories mostly (90%) within their comfort range. Studies have demonstrated that the best predictor of early reading ability, even before the child begins to read, is his or her understanding of how words are made up of sounds. When children are taught these skills of hearing the sounds in words, they show greater abilities in reading, word recognition, and spelling. Hooked on Phonics Learn to Read introduces simple compound words and two-syllable words to support corresponding decoding skills. That way kids get multiple ways to learn this critical skill. Perhaps most important, research has shown that combining phonics instruction and reading is the best way to develop a good reader. 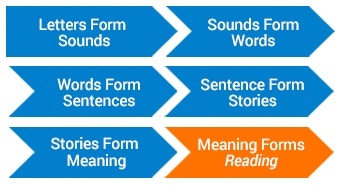 Reading that includes a high percentage of familiar patterns gives the child the opportunity to read for meaning. Hooked on Phonics Learn to Read includes books and stories woven into the program at the appropriate readability level to provide opportunities for the child to read for meaning and enjoyment. Learn more about the research behind Hooked on Phonics. The phonics approach to reading is one of the most well researched and highly successful reading strategies in young kids available. And it’s so crucial to get a jumpstart on kids’ reading success at an early age. Not only does early reading success predict reading success at older ages… but it predicts success across the board, in any subject. And it’s hard to catch up if reading is not mastered early. Did you know kids prepare for their reading education years before reading their first book? That’s because 90% of a child’s brain is developed by age three. That means that by age three, a child’s vocabu-lary can predict third grade reading proficiency. That’s why it’s so important to get started early using a system that works for kids! 37% of children today enter Kindergarten without the skills necessary to begin their learning journey. And that’s troubling. By the end of first grade, kids are expected to ask questions, remember story details, and talk about each character’s adventures. And if a child isn’t reading at grade level by that point, there’s an 88% likelihood that he will still be behind in reading by fourth grade. Children who are not reading at grade level by fourth grade are four times more likely to drop out of school and thirteen times more likely to drop out if they also live in poverty. Did you know that one out of seven adults have such low literacy skills that they can’t read anything more complicated than a child’s picture book? Illiteracy doesn’t just lead to tow self-esteem. It also leads to poverty, and crime. First, expressly taught strategies help kids recognize and decode words and sounds. Phonics is a great example of a simple strategy kids can use to start from scratch and build their word decoding skills. Second, exposure to more reading. By simply listening to stories and practicing reading, kids understand stories and concepts in context while reinforcing their fundamental skills. These two parts of a good reading program combine to make for a great reading education. And learning to read successfully has benefits for the child way beyond picking up a good book on a rainy afternoon. It can transform a child’s entire life. Reading books helps children develop social-emotional and self-regulation skills. Not only that, but the better a child can read, the better he can learn other subjects, such as math, science, and history. At Hooked on Phonics, we believe literacy empowers people to better their lives and the lives of their families and our communities. Get ready to start school. Hooked on Phonics is a proven, expert-designed, kindergarten-readiness Reading program. Become a stronger reader Hooked on Phonics helps your child receives systematic instruction in essential decoding skills. Become a confident reader. Hooked on Phonics has a proven method of teaching kids that guarantees reading success. Research shows that confident readers become confident learners. Kids can use this program on their own, with just a little help—and a whole lot of encouragement—from their parents. This program uses over 200+ music videos, stories, exercises, and interactive games as a total, comprehensive reading program to keep kids interested and motivated on each lesson. This program was developed by leading educators, based on research of how children learn to read. It begins with small steps… little moments of victory at small activities. And then… it happens. Your child reads. The whole system is incredibly easy to use, because the program tells you exactly which tool to use and when. When you get started, you’ll find each lesson was designed to keep lessons down to 20 minutes or less. Start by opening up Hooked on Phonics. This step introduces kids to new information and concepts… or simply reinforces a concept they may have already learned. The goal of this section is to familiarize your child with the sounds that come from certain letters. The lesson will then switch from the introduction activity to one of the included videos, or other activity including singing, matching, tracing, and more. Your child gets to immediately practice the new sound combinations and words in exercises and games. She’ll practice building new words with familiar sounds and new letters, selecting written words after hearing them, and guessing words before they’re read aloud. Your child puts it all together to read a great story written specifically to support what your child has just learned. Each book is written using words your child has learned to read so far in the program, with a few unfamiliar words to add spice to the stories. As your kids progress through this amazing 3-step system, they’ll build a library of great stories that they can feel proud to have mastered. 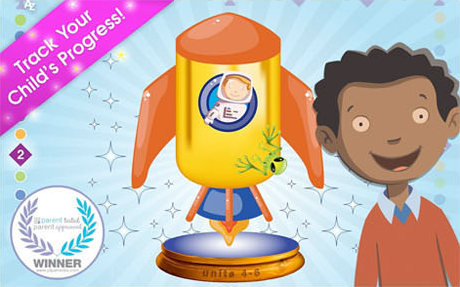 And you can celebrate after each lesson and track your child’s progress by earning stars for each achievement. 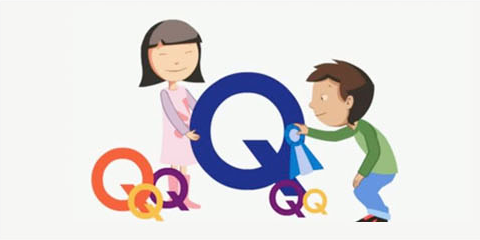 As a parent you might let your child “pay” their star rewards for special prizes, such as a treat around the house or even more time with their Hooked on Phonics videos and games.